Class meets once. Total of 2 hours of instruction. This one day introductory class is for participants who want to try sailing without committing to the 4 week class. Introduction to sailing will cover points-of-sail, right of way, safety, rigging and docking on our 16 ft. Catalina sailboats. Cost: Free for everyone. 1 Friday 2/1/19 12:30 p.m.-2:30 p.m.
2 Friday 2/8/19 12:30 p.m.-2:30 p.m.
3 Saturday 3/2/19 12:30 p.m.-2:30 p.m.
4 Saturday 3/9/19 12:30 p.m.-2:30 p.m.
Class meets once a week for four weeks. Total of 16 hours of instruction. This class is for any adult who has the desire to learn how to sail. 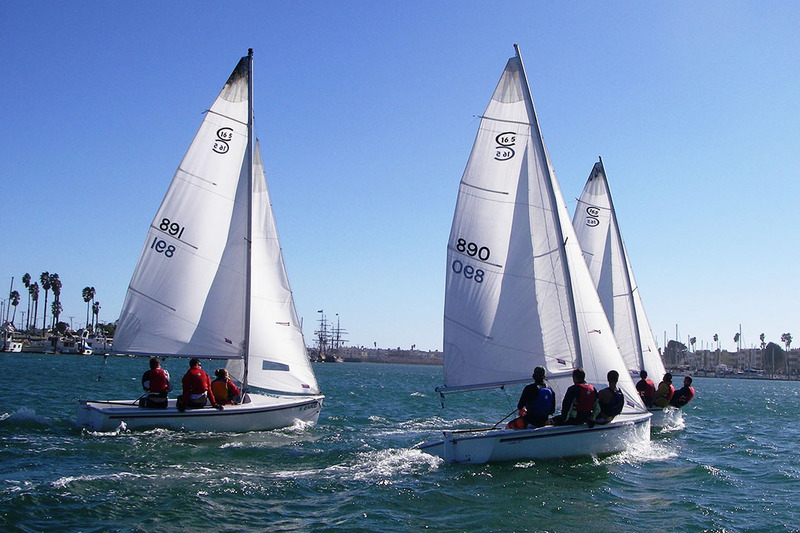 Participants will learn everything they need to know in order to be confident and safe in the Channel Islands Harbor in Pico sailboats. The class meets at CIBC and includes the necessary sailing material as it pertains to the requisite skills required. Cost: $130 for community members. 1 Saturday 2/2/19-2/23/19 12:30 p.m.-4:30 p.m.
2 Friday 4/5/19-4/26/19 12:30 p.m.-4:30 p.m.
3 Saturday 4/6/19-4/27/19 12:30 p.m.-4:30 p.m.
Class meets once. Total of 2.5 hours of instruction. 1 Friday 2/15/19 1:00 p.m.-3:30 p.m.
2 Friday 4/19/19 1:00 p.m.-3:30 p.m.